ABOVE : The new L-3 Insight SRF Squad Rangefinder mounted on an EF-88 right STANAG 4694 rail. NEWS FROM ABROAD.....CANBERRA, AUSTRALIA: The ADF has finalised its next generation of weapon night aiming/illumination systems; section level laser range finding/ targeting systems and passive night vision goggles and ancillary head harnesses, and helmet attachment devices. The new Wilcox G24 Night Vision Mount attachment. The G24 NV Mount will be standard issue on the Land 125 Ph 3B Tiered Combat Helmet EXFIL Ballistic helmet. The next generation of night fighting equipment will be acquired under Project Land 53 Phase 1BR with follow on acquisitions under Land 53 Phase 2 and Project Land 4110. The final selection of equipment came after a tender process with detailed requirements. All equipment tendered was thoroughly field tested by Mounted and Dismounted Combatants, Special Operations Forces and RAAF Security Forces. The 1st Battalion Royal Australian Regiment (1RAR) and the School of Infantry will receive the initial deliveries of the new equipment acquired under Project Land 53 Phase 1BR. Delivery of Land 53 Binocular Night Vision Devices and Aiming/ Illumination/Range Finding Devices will be complete by 2022. The Project Land 53 Phase 1BR Night Fighting Equipment will value add the new Soldier Combat Ensemble developed under Project Land 125 Phase 3B and the Enhanced Austeyr EF-88 Modular Weapon System now entering service under Project Land 125 Phase 3C to fundamentally improve combat capability across the ADF and maintain a technical 'overmatch' against likely adversaries. The ADF's next gen L3 Warrior Systems Insight AN/PVS-31A Binocular Night Vision Device has true Gen III+ high definition grey scale image intensification with stereoscopic binocular depth perception for the user. The L-3 Insight AN/PVS-31A Binocular Night Vision Device (BNVD) will replace inservice N/SEAS Monoculars and the upgraded AN/PVS-7B (Gen 2/3) Night Vision Goggle. The AN/PVS-31A Binocular Night Vision Device employs two MX- 11769 Generation III+ Image Intensifier tubes which have the latest phosphor tube technology which vastly improves soldier object cognition and perceived detail through the delivered black and white image. The AN/PVS-31A BNVD's dual Gen III+ tubes provide the user with stereoscopic binocularity delivering vastly superior depth perception to the user. Standard AN/PVS- 31A BNVDs are employable by drivers and other mounted combatants without any additional driver accessories. The light weight and design attributes of the AN/ PVS-31A BNVD reduce neck strain and general fatigue and the unit fills a smaller footprint when stowed in the up position when employing the inservice Wilcox G24 NVD mount. The AN/PVS-31A BNVD is fully waterproof (up to 20 metres depth for a duration of 2 hours immersion). The new BNVD is lightweight (365g) about two thirds of the weight of the AN/PVS-7B NVG and very power efficient with a standard AA Lithium battery delivering a minimum of eight hours operation in extreme cold weather but more than 16 hours of operation at temperatures above 23 degrees. An optional four battery pack accessory delivers a minimum of 24 hours operation and over 50 hours above 23 degrees. The ADF will acquire a new head harness for the AN/PVS-31A and acquire additional Wilcox G24 NVG Mounts for the new Tiered Combat Helmet. 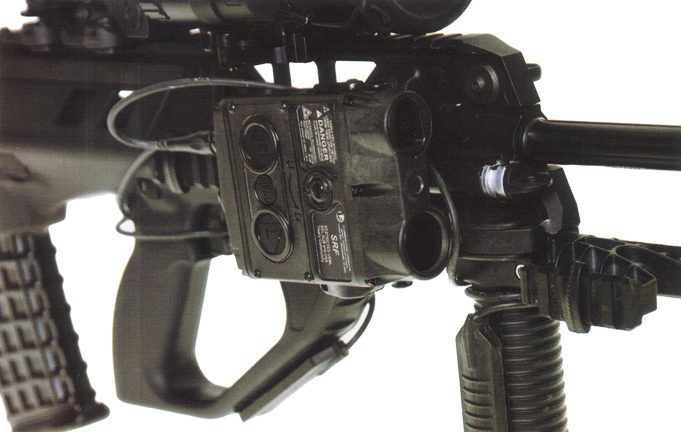 The L-3 Warrior Systems Insight AN/PEQ-16B Mini Integrated Pointed Illuminator Module (MIPIM) will provide standard low light Close Quarter Battle laser target designation for the EF-88M, EF-88MG and EF-88C rifles and will attach to the fore end right STANAG 4694 rail. The inservice AN/PEQ-15 Advanced Target Pointer Illuminator Aiming Laser (ATPIAL) night aiming device and older AN/PEQ- 2A Laser Illuminator Pointers will be replaced by the next generation L-3 Warrior Systems AN/PEQ-16B Mini Integrated Pointer Illuminator Module (MIPIM). The AN/PEQ-16B Mini Integrator Pointer Illuminator Module features non visible Infra Red laser and Infra Red Illuminator and a bright visible white light LED (torch) and visible (Red) laser pointer/ targeting lasers. 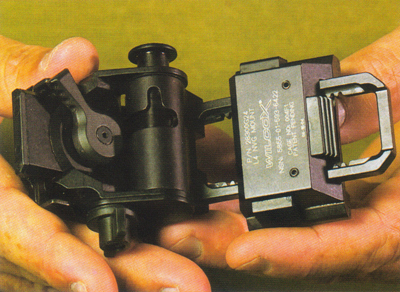 It attaches to the EF-88 Enhanced Austeyr Modular Weapons System on its right STANAG 4694 mounting rail via an integrated thumb screw mount. The AN/PEQ-16B is activated by a unit roof on button or via a remote activation device. The AN/PEQ-16B IR laser/IR Illuminator and LED Torch are integrated into a single rotating module which also focuses the IR Illuminators' beam width. 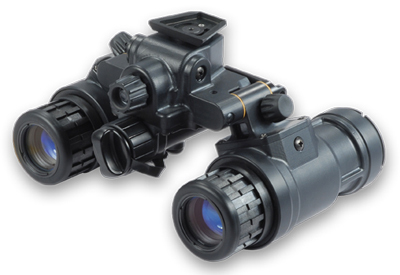 The AN/PEQ-16B MIPIM is light at 280 grams and is compact at 100x80x40mm. The unit is powered by two standard CR123A batteries which deliver approximately 1.5 hours on full power. 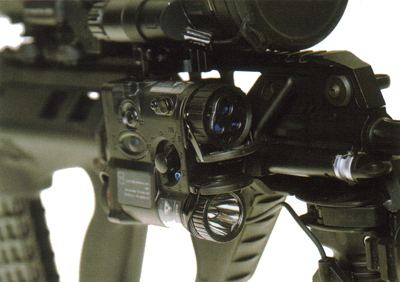 The MIPIM can be operated employing full power (combat) or low power (training) laser modes. At combat power the IR Laser is employable to beyond 1000 metres and the visible Red Laser can be employed out to more than 25 metres in full sun and much further in low light. The AN/PEQ-16B will be partnered with the new L3 Warrior AN/PVS-31A I Binocular Night Vision Device and the EF-88 Enhanced Austeyr's 'in line' Qioptic KITE Passive Night Vision Image Intensifier Attachment and the Elbit XACT Thermal Imager Attachment which mount forward of the standard ELCAN Spectre DR 1-4 scope for night/low light combat operations. An additional capability will be added to Australian offensive operations at Section/Bric level with a new weapon mounted Laser Range Finder/Illuminator/Night Aiming Device. The L3 Warrior Systems - Insight Technology SRF Squad Rangefinder attaches to Section crew served MAG machineguns, Mk 48 MAXIMAGs and F-89A1 LSWs and Enhanced Battlefield Rifles like the HK 417R16 to deliver section level laser range finding out to beyond 3000 metres. The SRF Squad Range Finder is a miniaturised integrated Laser Range Finder with dual mode IR Laser Aiming and IR Laser Illumination capabilities which attaches via STANAG 4694 or MIL STD 1913 accessory rails. The SRF Squad Rangefinder is fully compatible with the AN/PSQ- 23A Storm PI accessory system via the standard seven pin accessory plug. SRF Squad Rangefinder accessory capability is not disclosed by the manufacturer, but the AN/PSQ-23A Storm PI can employ external GPS inputs which impact its range finding outputs - suggesting possible target GPS coordinate generation via the SRF Squad Rangefinder.